Make sure you set up good lighting and background when taking the after pictures. Andrew had to re-think everything. He had to figure out a new way to eat and what would be the best time to have each meal. He was always used to have big meals. He was never a fan of working on eating smaller portions. However, when you eat three times a day, it might not be a such a good habit to have, because it’s very easy to eat too much food. Most people can get away with eating one big meal, some can even get away with two big meals, but almost no one can eat three large meals every day, and still be lean. And this need to figure out a new way of eating is not the first time we’ve heard about it. It’s actually a recurring theme. It’s great if you have figured out how to lose fat and you’ve got lean. However, if you also want to STAY lean, you have to figure out a whole new way to eat to maintain your new body. If you start overeating or get back to your old eating habits you will start gaining fat quickly and you will erase all your progress in a matter of weeks. Since the old habit Andrew had wouldn’t help him lose weight and keep it off, he had to do some thinking. At this point he only knew how to eat to gain weight and how to eat to lose weight, but nothing in between. 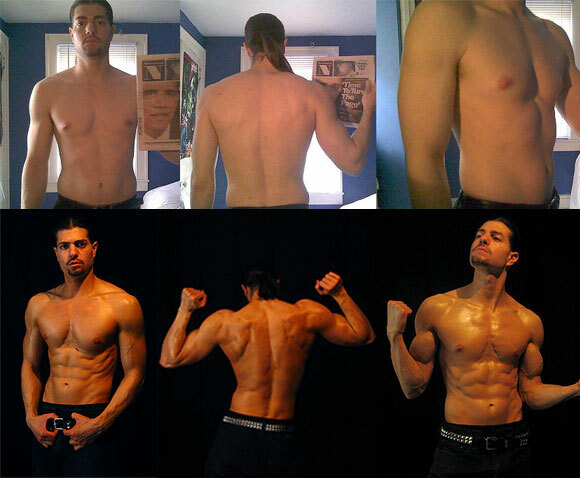 He had to figure out how to eat in a balanced way so he would stay lean all year round. He tried a few things that mostly revolved around having multiple meals and just counting the calories. However, like he told us, it was just too much counting and he couldn’t enjoy the big meals he loved. Then, he figured it out. What really worked for him was having one big meal at the end of the day. This way he would stay in a deficit, because there is only so many calories you can eat at one sitting. and he didn’t have to count calories, so it was a win-win. Now Andrew doesn’t have to count anything, he doesn’t worry about maintenance or gaining weight. It’s all taken care of with one meal a day. He can still eat big with just a small compromise on his part. But is it really that big of a compromise? Sometimes he might allow himself a snack, but usually he just eats a big dinner. Snacks are good, if you can keep the calories in check (think of fruit as a perfect low cal, but tasty snack). The issue with snacks is that most people snack on high calorie options and they don’t stop at just one. Another issue is that the moment you start eating, your appetite goes up and you will want to eat more. FYI this is one of the reasons why eating breakfast is NOT a good idea. This is Andrew’s overall progress. The first pictures are from his first Adonis Index contest. Why One Meal a Day Works and What It Can Do for You? Assuming you already understand the benefits of intermittent fasting, eating one meal a day has a bit more to it as well. You can eat a really big meal every day! Andrew would have a big meal and small piece of chocolate with it almost every single day. What other diet will allow you to have chocolate every day? Obviously you have to choose the right foods, you can’t eat nothing but cake, but still it doesn’t have to be “clean” by the conventional fitness standards. You really can have chocolate or pizza if you want. What you are basically doing is variety in one big chunk each day. And how would such a meal look like? Well, you can easily make this under 2000 calories, which is perfect for most guys to maintain. Just remember, you can have your cake, but everything is good only in moderation.